The atmosphere in Borgovia is dense. This land feels old. There’s genuine character in its still forests and jagged cliffs, the gothic villages and their superstitious inhabitants. But they’ve a right to be superstitious. The myths and legends that every child learns before bed or when huddled around a campfire are reality in this place. In Borgovia, the stories are true. Borgovia is the only place where the Ink – the mystical essence that powers all things ethereal – leaks through the cracks in the world. “The Ink is a very natural and normal thing in Borgovia,” says Toth. “They don’t really talk about it much because it’s just natural.” As a land saturated with the substance, Borgovia plays home to all manner of monsters. From traditional beasts of legend (werewolves, vampires and phantoms) to regional creatures borrowed from oral tradition and the dusty pages of classic literature. “We pulled a lot from Slavic mythology and from Hungarian Folklore,” Bozoradi reveals. “Our game is loosely based on Bram Stoker’s Dracula and Hungary is very close to Transylvania – the origin of Dracula.” As a studio based in Budapest, Hungary, Neocore Games has a special connection to this world its created, and Bozoradi exudes a sense of pride for the myths of her region. “A lot of people don’t know that Bram Stoker first heard the Dracula story from a Hungarian professor.” But inspiration drawn from Dracula serves as a jumping-off point for the much more involved tale Neocore’s attempting to weave. Combating mythical beasts and the horrors of science is the bread and butter of The Incredible Adventures of Van Helsing. 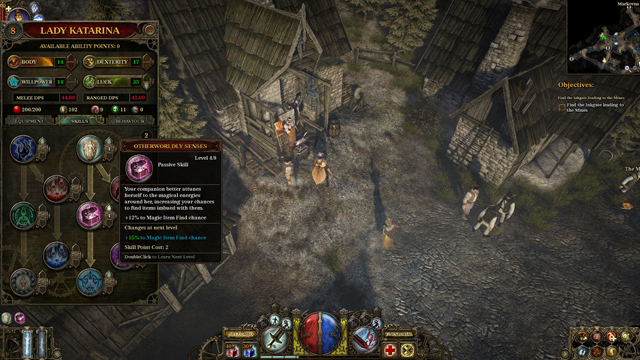 Like so many action-RPGs before it, Van Helsing employs a robust skill tree system that offers you specialization in melee and ranged combat, along with the powers of the occult. It’s fluid and doesn’t constrain you into just one path to be effective, allowing for a mixture of abilities from each branch along with independent tricks and auras that further enhance your prowess. Though Neocore has twisted the tried-and-true skill tree structure with its Rage system, providing the tools to customize each and every skill on the fly in a number of devastating ways. 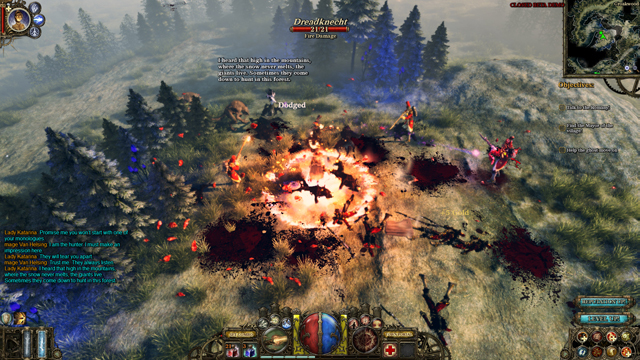 As Van Helsing slays, his blood boils and he builds Rage. That Rage can then be spent on modifying his selected skills in active ways. You can attach a slowing modification to his ranged shot, have the bullet explode upon impact or cause the projectile to deliver 50 percent more damage. You can choose any combination up to three selections, allowing you to vary the effects or load up on a single power. Want to fire an explosive shot that slows enemies? Stack the explosive effect twice and the slowing modifier once. These choices are fluid, can be done with a click of a button and are different for every skill, meaning there are literally dozens of combinations at your disposal for whatever the situation requires. You can even hot-key your favorite combinations for single-button activation. She’s remarkably handy for a number of reasons. She’s a native of the region, serving as your de facto guide and lending some clout with the locals who, oddly enough, don’t take kindly to monster hunters. Katarina can be outfitted with her own equipment and customized in any number of ways. Through her own leveling system she can learn skills and spells that both benefit Van Helsing and come in handy during a fight. And she’s a gifted slayer herself. Being a ghost has certain advantages when it comes to a brawl. 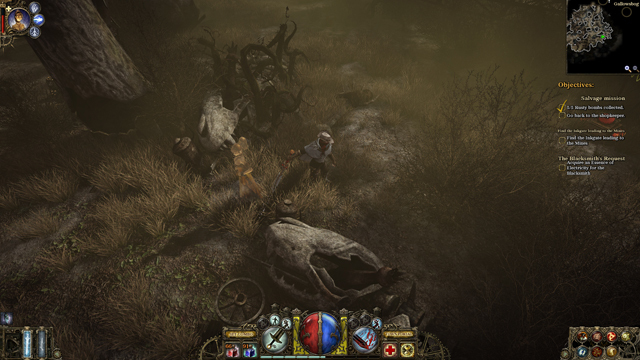 Katarina can maintain her ghost form, providing passive bonuses to Van Helsing without taking damage or engaging the enemy. But she also touts melee and ranged forms, morphing into uniquely monstrous creatures that dish out damage alongside your hero. You can then customize Katarina’s behavior based on a number of different options. She’ll target the weakest or the strongest foe, the most vulnerable to her attacks or the most dangerous to Van Helsing. This deep customization along with her extensive leveling and skill system allows you to craft the perfect companion to supplement your style of play. Outside of the fray, Katarina excels in other ways. She’s got her own inventory, which can be utilized by programming her to automatically collect fallen items. You’ll never have to pick up gold again by simply asking Katarina to do it for you, along with potions, crafting materials, and equipment, which you can further differentiate based on the item’s rarity. Like a battlefield janitor, Katarina will clean up the mess left on the field. She’ll collect everything you’d like, and with a press of a button she’ll blink back to town to sell the items and buy potions, returning the profits and goods to you. It’s not the first ARPG to implement a companion system, but The Incredible Adventures of Van Helsing absolutely gets it right. Remove repetition, enhance convenience and allow for deep customization. Katarina is a multifaceted tool throughout the adventure and quickly becomes indispensable once you get a hang of her potential. Her engaging personality and notable voice work prevent you from ever seeing her as a simple tool, though, and because she’s such a fleshed-out part of the experience, you’ll appreciate everything she does that much more. The Incredible Adventures of Van Helsing has a lot of innovation to offer the genre and will hopefully be a welcome addition to the scant state of the ARPG on Xbox Live Arcade. Though Neocore is still in the process of devising a user-interface that will translate the dense control scheme from PC to an Xbox controller, the studio is confident in the end result it’s working towards. 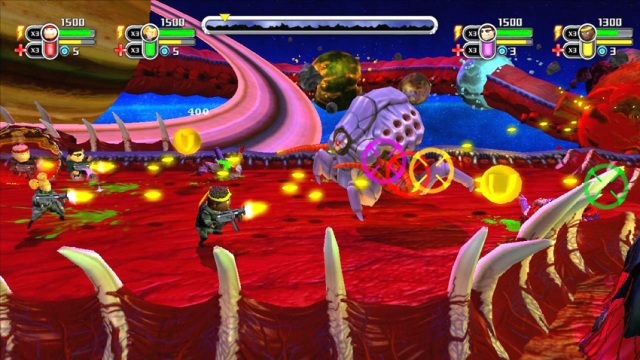 “In late May we plan to release on PC and then later this year on XBLA,” Toth reassures. 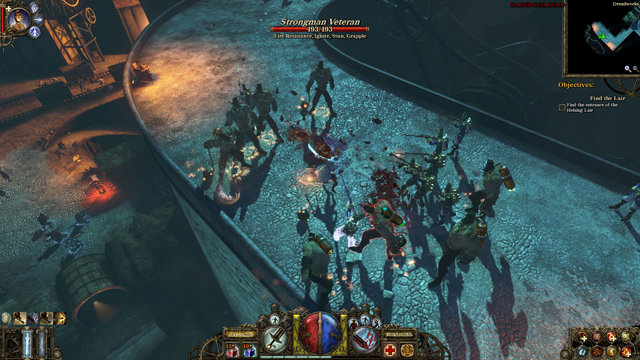 I’m told the intention from the beginning was to bring Van Helsing and his adventures to Xbox Live Arcade — and Neocore is committed to making good on that intention.